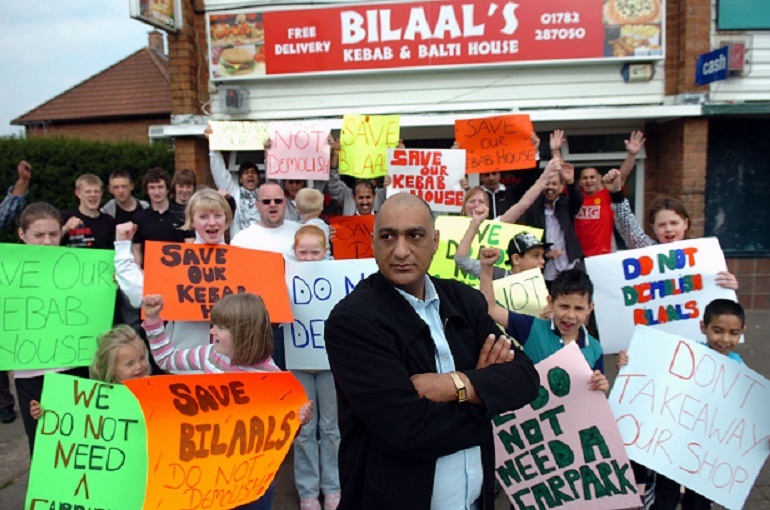 Sajid Munir, owner of Bilaal’s fast food takeaway, with protesters. When people in North Staffordshire start raising a petition they generally mean business. When they start a petition calling for a new chip shop near their homes they are simply helping someone else’s. And that’s exactly what people in Trent Vale are doing right now after entrepreneur Rakesh Kumar resubmitted plans for an empty shop – despite being knocked back last year. Apparently Hartshill or Oakhill is too far for these fast food fans to travel. I mean, it’s practically the other side of the moon, you know. Meanwhile, back in my neck of the woods – Sneyd Green – an astonishing 400 people have been moved to sign a petition to save Bilaal’s Kebab and Balti house from demolition. The circumstances are markedly different, of course. Bilaal’s is an established business and the city council wants to knock down the building as it is part of an ‘under-used’ row of shops. Unfortunately, they forgot to tell owner Sajid Munir or consult with local residents about the proposals, which have left officials with egg – or possibly salt and lemon – on their faces. I should declare an interest here. Way back in 1988, when yours truly was in his final year at Holden Lane High, Bilaal’s – which is just over the road – was a chippy owned by the father of my classmate Justina. When pocket money allowed that’s where we got our cut-price chips and gravy. More recently my brother has treated me to the odd kebab from Bilaal’s which is opposite my dad’s local. Mighty fine they are too. (No relish thanks, Oz). Thus in this case I’d be sad to see the bulldozers move in – particularly as it is a viable business and Mr Munir recently spent tens of thousands of pounds doing the place up. But, as an overweight, middle-aged father-of-two with a tendency to blame his expanding waistline on illness rather than a poor diet and not walking the dog enough, I have to say ‘enough is enough’ when it comes to fast food outlets. In our drive-thru, throw-away society do we really need more chippies, burger bars and pizza houses? Of course we don’t. If we want fast food options we are never more than five minutes away from a retailer willing to oblige. Or we can nip to Festival Park and play spot the boy-racer while choosing between Subway, McDonald’s, KFC, Pizza Hut or Frankie & Benny’s – to name but a few. Now take a look around you. Take a walk through the Potteries Shopping Centre. It’s like a salad-dodgers’ convention. Watch the crowds streaming out of the Brit or Vale Park on a match day. It’s not hard to spot who ate all the pies, is it? Never mind political-correctness, the nation is getting fatter. Fact. And the people of North Staffordshire have been getting even fatter than their counterparts in other areas of the country. I don’t need some sunflower-seed munching expert from the department of nutrition and dietetics to tell me why, either. Sure, income plays a part in the diets of some families. Some people have ‘slow metabolisms’ or genuine health issues which mean they find it difficult to maintain a healthy weight. And others, with very little motivation, self-esteem or willpower, gorge themselves on far too much of the wrong kinds of foods and do hardly any exercise and thus get bigger and more unhealthy every year. The Potteries is full of such people. And, worryingly, more and more of them are children. Currently, more than a fifth of Stoke-on-Trent’s 186,000 adults are obese (the highest proportion of any area in the West Midlands). 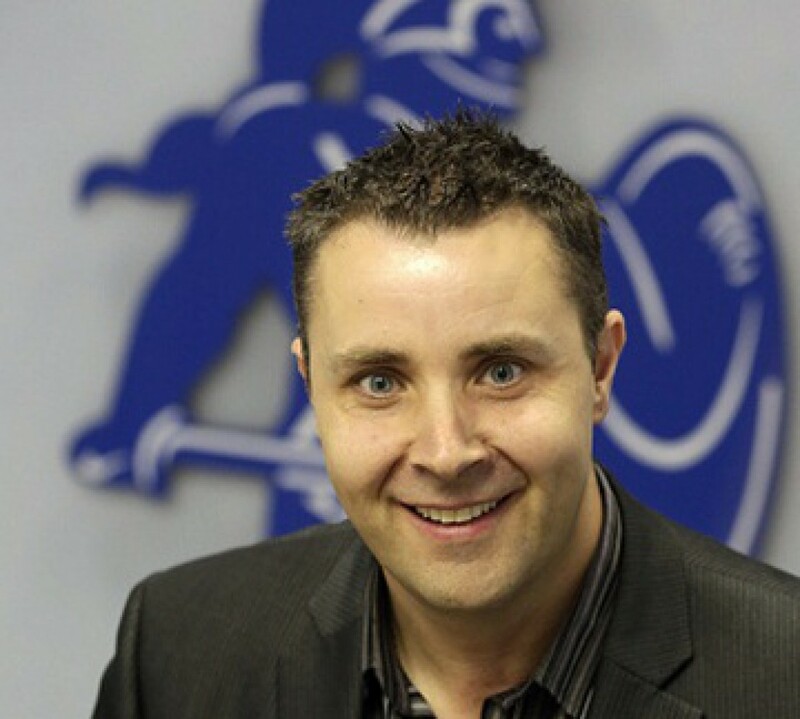 We are in the middle of an obesity epidemic and we need help now so that more people live longer and the local NHS doesn’t become over-burdened with generations of people suffering all manner of weight and diet-related ailments. Stoke-on-Trent currently has 226 hot food takeaways, along with 131 cafés and snack bars, which include big-name fast food chain outlets. So, what we certainly don’t need is more chippies. The city’s future health and prosperity may not hinge on the decision over the empty shop in Trent Vale. But being careful about the kind of businesses we want in our communities is a step in the right direction. I, for one, hope the city council does as it has indicated it might, and introduces new, tighter planning controls to reduce the number of takeaways opening in the city. Meanwhile, we have to stop signing daft petitions get off our backsides, leave the car on the drive and – if needs must – walk to the nearest chippy. Failing that, we could always have a piece of toast.